The church in Algadisia had been there since 1983, according to Middle East Concern. Christian charity Middle East Concern (MEC) reports that the second demolition took place on 17 May in Khartoum’s Algadisia district. The Algadisia church had been there since 1983, according to MEC. (After war broke out – again – in 1983 between what was then north and south Sudan, many thousands of southern Christians fled north to escape fighting and bombing, resulting in extensive communities which over time developed so much that, when South Sudan independence came in 2011, the Christians were too ‘settled’ in the north to leave and start a new life all over again, thousands of miles away to the south.) However, MEC reported, another person recently claimed ownership but refused to provide any proof. The authorities then demanded that the church vacate the land. MEC said that even when the church showed ownership documents, the authorities refused to hear the case. The two SCOC churches were part of a list of 27 churches listed last year for destruction by the Sudanese government, which claims they were in violation of the designated purposes of the land they were built on. The churches had challenged the government’s order, but their appeal was rejected in April. The legal basis was apparently a decision taken in 2014, which introduced a distinction of land use into four categories (worship, residential, commercial and government) and which prohibits the construction of churches on land not designated for worship. It seems that some of the structures in question were built before the 2014 decision. Government officials have denied the specific targeting of Christians in the demolitions. The Commissioner of Jebel Awliya, Jalaleldin El Sheikh El Tayeb, was reported by Radio Dabanga as saying the removal order also included “12 mosques and Quran schools”, but a local source told World Watch Monitor “the government has made it clear that no new churches will be allowed to put up new buildings, whereas none of the schools or mosques will face the same reality”. The Sudanese Minister of Guidance and Endowments announced in April 2013 that no new licenses would be granted to build new churches. Sudan continues to insist there is “no need” for new church buildings in the country, given that the Christian population has been much diminished following the 2011 secession of South Sudan, after which seven former Sudanese dioceses moved to South Sudan, leaving only two dioceses for the small Christian minority in Sudan, mainly in South Kordofan and Khartoum states. 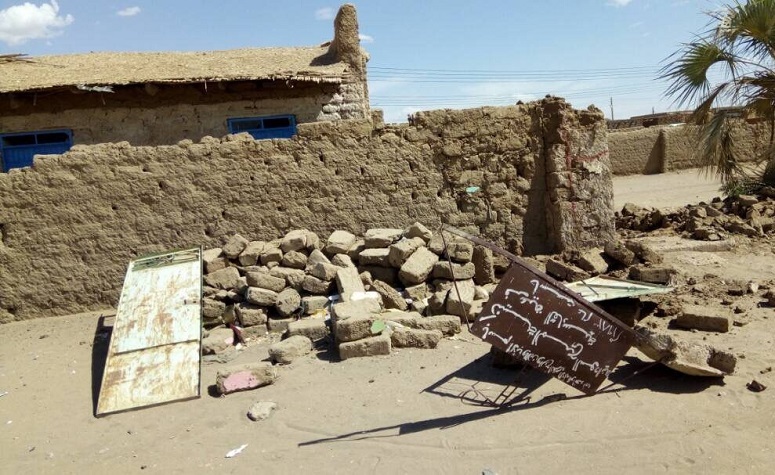 In April local authorities in Omdurman, next to the capital, tried to take control of a Christian school run by the Sudan Presbyterian Evangelical Church (SPEC). During a peaceful protest against the government’s actions, a church member was stabbed and died. A few weeks later, police and an armed mob arrived to occupy part of the church’s compound. Observers fear Khartoum is trying to systematically weaken or extinguish the Christian presence in Sudan. 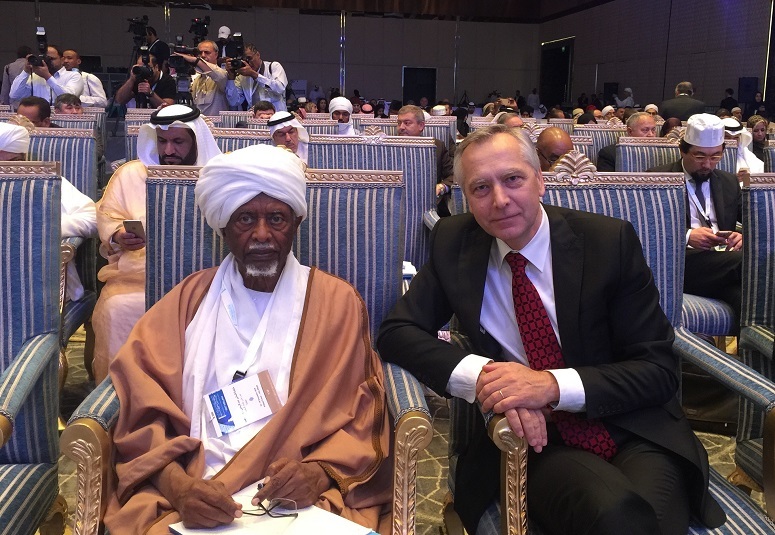 The Special Envoy for the Promotion of Freedom of Religion or Belief outside the EU, Ján Figeľ (right), with Sudan’s former President, Abdel Rahman Swar al-Dahab. The Special Envoy for the Promotion of Freedom of Religion or Belief outside the EU, Ján Figeľ, has raised the issue of the latest church demolition with Sudan’s new Minister of Religious Guidance and Endowments. After his visit to Sudan in mid-March, during which he met the former Minister, he had been led to understand that the order to demolish the churches had been temporarily stopped. In a letter to the new Minister, Mr. Figeľ wrote: “I am sure you would agree with me that these events generate tensions and go counter [to] the many efforts deployed by Sudan to preserve its capital of religious diversity. After his March visit, Figeľ’ reported that he had “reminded the authorities about the importance of upholding FORB [Freedom of Religion or Belief] in the Constitution and recommended the construction of a civil state based on equal citizenship for all”. He added that he had stressed that “public life must be organised around citizenship, not religion” and “advocated for reform of the legal framework in order to ensure consistency with international agreements in the area of religious freedom”. He was also able to raise the issue of two Sudanese men still held after the release of the Czech man they were convicted of having “aided”. The two also eventually received a Presidential pardon. Last week, Sudan’s President, Omar al-Bashir, was invited by Saudi Arabia to meet US President Donald Trump on his first stop on his first overseas trip, but Mr. Bashir, who is wanted by the International Criminal Court for crimes against humanity including “genocide”, declined.